(941 W. Randolph St.) is the ultimate place to eat and party this summer with its open patio, late night hours, and industry night specials. 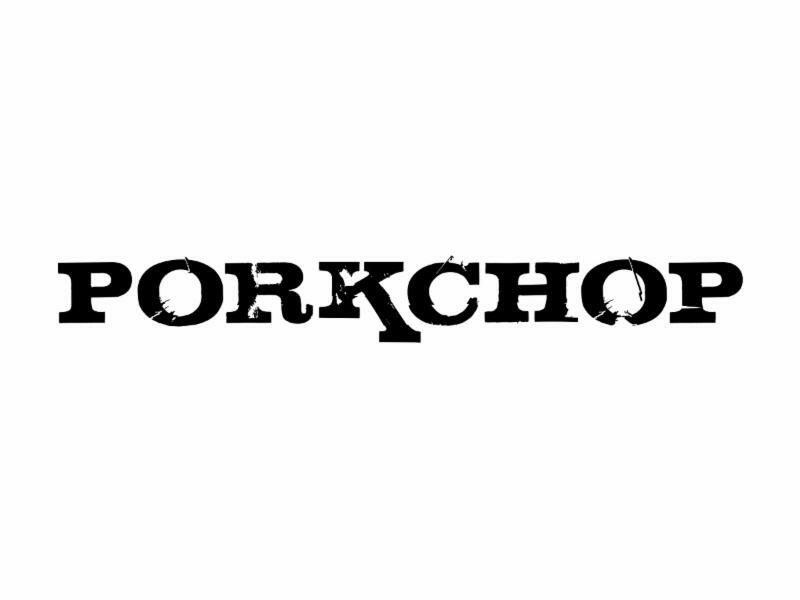 Chicago's flourishing BBQ and whiskey joint is excited to announce its late night deals and special offers for industry professionals. 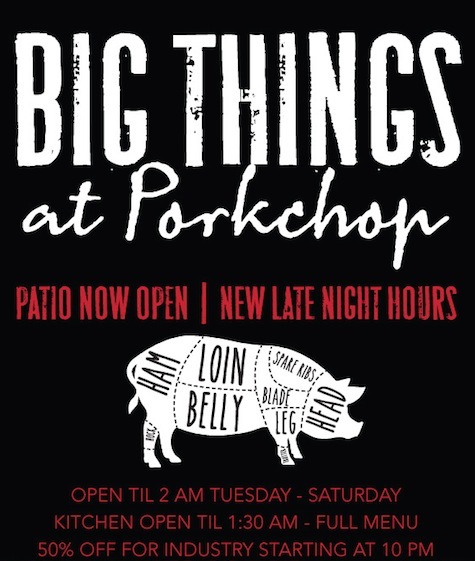 Late night on Randolph Street is the place to be this summer! , like them on Facebook, or follow them on Twitter. ), free and open to the public. Forty years ago his journey began. left his Atlanta home in 1974 in a Datsun station wagon to explore Latin America and the Caribbean. Many years later his adventure would manifest into a photographic journey capturing the architectural and urban similarities of Latin Caribbean cities throughout the interconnected Creole world: Haiti, Colombia, Argentina, Cuba, Ecuador, Panama and New Orleans. This traveling exhibition features 50 photographs and was organized by and premiered at the Historic New Orleans Collection in 2014. The accompanying book includes more than 200 photographs, plus essays by Creole scholar Jay D. Edwards and photography historian John H. Lawrence. "Richard Sexton's photography can be called documentary but his photographic explorations push far beyond the realm of recording the world," said the Director of the Patricia & Phillip Frost Art Museum - FIU, Dr. Jordana Pomeroy. "Creole World became a project of passion, immersion, and discovery. Sexton dove into his subject matter and emerged with a body of work that visually ties together Caribbean and South American cultures that share strands of history - some ugly, some beautiful, but always compelling." The gestation period of this project was long and gradual, 38 years of Sexton's pilgrimages to sites of Creoleness. In 2006, a return trip to Latin America (Sexton's first visit since his initial sojourn in 1974 when he was 20 years old), the artist's reunion with Latin America sparked the idea for a book of photographic essays mapping the visual, cultural and historical connections shared between New Orleans, Latin America and the Caribbean. The images feature exotic urban locations and neighborhoods that are difficult to travel to and challenging to photograph - due to politics, warfare and natural disasters. Places such as El Chorillo in Panama City; Cuba's Cienfuegos, Trinidad, Santa Clara, Santiago de Cuba and La Habana; and post-2010 earthquake Haiti's Port-au-Prince, Jacmel and Cap-Haïtien. The book describes these cities as an entire family of cultural cousins with similar Colonial histories. The essays refer to them as places that were founded as New World outposts of Old World empires, forging new identities and cultures from European, West African and indigenous influences - by turns inspired by and in defiance of, and adapted from all of them. Other locales on this visual sojourn include Cartagena de Indias, Quito, Panama City and of course - New Orleans. Richard Sexton lives in New Orleans and is renowned for his books and exhibitions about architectural photography. His work has been published in Smithsonian Magazine, Preservation Magazine, Abitare, Archetype, Harper’s and Photographer’s Forum.He received the 2014 Michael Smith Memorial Award for Documentary Photography from the Louisiana Endowment for the Humanities.
. Read his Creole World blog at creoleworld.tumblr.com. Watch videos about Creole World that chronicle Richard Sexton’s travels here. Sexton will appear at Books & Books in Coral Gables for a book signing on Friday, June 12 at 6:30 p.m. Photos courtesy of The Historic New Orleans Collection. All photos © Richard Sexton. is part of a generation of artists who embrace their strong Cuban heritage and traditions but have reinvented themselves along the way. This exhibition is organized by guest curator Dr. Barbaro Martinez Ruiz and showcases Luna's cross-pollination of influences from living and working in Cuba until 1991, then in Mexico for 13 years, and now in Miami since 2002.
; Talavera ceramic plates created in Puebla, Mexico; mixed media on paper/on wood; and his large-scale oil on canvas paintings. "Citing Rufino Tamayo and Wifredo Lam as major influences, Carlos Luna tells stories and relates fables that are culturally attuned to shifts in the social and political environments of the three countries where he has lived and created art," said the Director of the Patricia & Phillip Frost Art Museum - FIU, Dr. Jordana Pomeroy, "and the humanity that makes these places so vibrant." Carlos Luna has worked as an artist during three equal periods of time in Miami, in Puebla, Mexico and Cuba. Luna continues to create his Talavera ceramic pottery at the famed Santa Catarina Studios in Puebla, Mexico. He also works at the Magnolia studios in California where his tapestries are designed and produced. The title Green Machine alludes to the importance of the rain forest known as El Monte, a sacred space in the Afro-Cuban tradition one must enter to find meaning. The machine represents the mechanism that perpetuates life's continuity. Combined, these ideas represent the artist leaving behind his rural past and his contemplative journey into the present moment. "The best artist is the one who makes his art a science," adds Luna. "And the best scientist is the one who makes an art of his science." The towering centerpiece of the exhibition, El Gran Mambo, is a massive six-panel painting chronicling the artist's own story. "El Gran Mambo tells the story of my journey through three countries," says Luna, adding that music passionately fuels his creative process while he’s painting. "The musicality and rhythm of El Gran Mambo are powerful elements of this centerpiece." Luna also cites as his artistic influences the musical masters Benny More and Ismael Rivero. According to guest curator Barbaro Martinez Ruiz, the exhibition at the Frost Art Museum -FIU draws upon Cuba's rich, oft-forgotten rural culture and popular wisdom, plus Afro-Cuban religious traditions. The work itself teems with edgy political commentaries, delivering a verbal-visual punch to map his journey with proverbs, riddles and graffiti-like scrawls. Adds Carlos Luna: "The United States is a country with immigrants from everywhere, and this gives me the opportunity to be in contact with the world." This exhibition is made possible with the support of Bacardi North America, Siempre Viva Art Foundation, and the Israel, Rose, Henry and Robert Wiener Charitable Foundation in Honor of Dr. Carol Damian. The Miami Herald; and the Members & Friends of The Frost Art Museum. 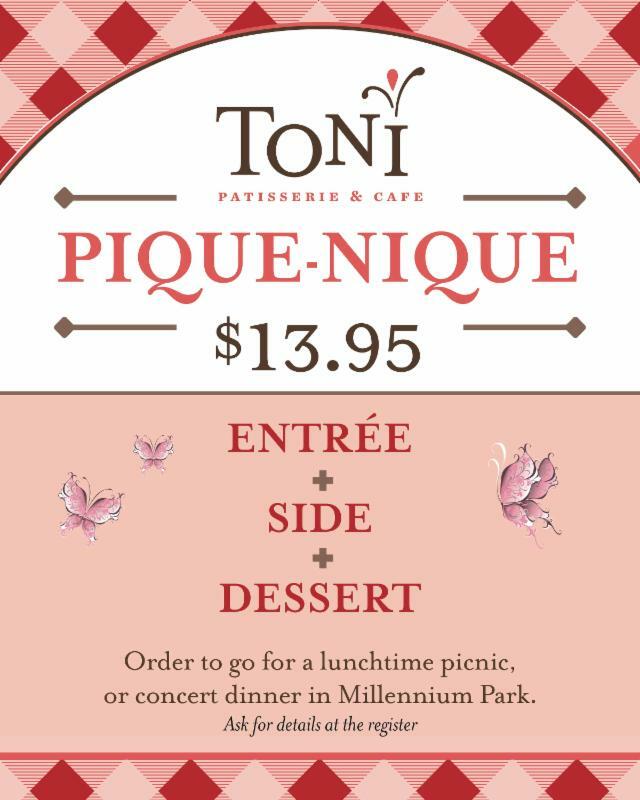 Toni Patisserie and Café is conveniently located adjacent to Millennium Park. Pique-nique boxes may be pre-ordered for lunch or dinner. The café also offers a great selection of alcoholic beverages to go, including six different beers to red wines and chilled white wines. For more information or to place an order, call Toni Patisserie at 312-726-2020. 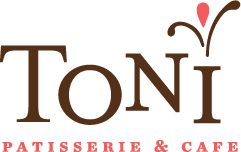 Toni Patisserie is a French-inspired café serving breakfast and lunch items, coffee, handcrafted sweets, savories, and more. Acclaimed Pastry Chef Toni Marie Cox opened Toni Patisserie in Hinsdale in 1994, and opened the second location in Chicago in 2011. Toni uses only the finest ingredients, from the freshly baked, locally sourced bread to the seasonal fruits. Catering and custom orders are also available. The sweet art of celebration is brought to life at Toni Patisserie in a warm, inviting atmosphere. , like the page on Facebook, or follow them on Twitter. For about 100 years, Maxwell Street was one of Chicago’s most unconventional business—and residential—districts. About a mile long and located in the shadow of downtown skyscrapers, it was a place where businesses grew selling anything from shoestrings to expensive clothes. Today, that tradition continues in the market’s current location in the South Loop (800 S. Desplaines St.), featuring bargains and bargaining with an international flavor, year round on Sundays, 7 a.m. – 3 p.m. Maxwell Street Market offers an eclectic mix of merchandise—from tools to tires, plus fresh produce, furniture, clothing, rare finds and collectibles—and some of the best Mexican and Latin street food in Chicago. A few examples of the market’s many food vendors include: Rubi’s Tacos, La Paz Tacos, Green House, Manolo’s, Birrias Tacos and Bro-N-Laws BBQ. This summer and fall, many FREE special events will make the market a must-see destination. The “World’s Largest Father’s Day Garage Sale” on Sunday, June 21, 7 a.m. – 3 p.m. will give Chicagoans a chance to buy—and sell—gently used clothing, household items, furniture and more in a massive summer yard sale. (Interested sellers should contact Maxwell Street Market at 312.745.7038 no later than June 12 during these office hours: Wednesday – Friday, 8 a.m. – 5 p.m. 10 ft. x 10 ft. spaces are limited to availability, for $20.) And throughout the summer and fall, Maxwell Street will offer live music on the 2nd and 4th Sunday of the month (Blues, Jazz, R&B and more), DJs on the 1st and 3rd Sunday of the month, dancing—and even workouts. Following is the schedule of upcoming events. Sunday, June 21, 7 a.m. – 3 p.m.
Sunday, July 19, 11 a.m.
Maxwell Street Market is operated by the Chicago Department of Cultural Affairs and Special Events (DCASE). Located at 800 S. Desplaines St., the market is open year round on Sundays, 7 a.m – 3 p.m. Metered street parking is available. The market is also located near CTA bus and “L” lines; plan your trip at transitchicago.com. For the latest news and events, visit maxwellstreetmarket.us, like us on Facebook (Maxwell Street Market) and follow us on Twitter and Instagram, @ChicagoDCASE #MaxwellStreet. Like markets? DCASE also operates the Chicago Farmers Markets, May–October, bringing over 70 vendors selling fresh fruits, vegetables, plants and flowers to neighborhoods throughout the city. For details, including market locations and dates, visit chicagofarmersmarkets.us. The largest annual outdoor live music and dance series in the United States Chicago SummerDance invites fanciful feet to flock to the Spirit of Music Garden as it blossoms into a unique, urban dance space all summer long. With interactive dance lessons spanning diverse genres of dance, a dynamic DJ series celebrating house music, and the kick-off of the World Music Festival Chicago 2015, the line-up includes something for everybody to enjoy. Chicago SummerDance takes place in Grant Park’s Spirit of Music Garden (601 South Michigan Avenue) Friday and Saturday evenings, from 6 to 9:30 p.m. and Sunday afternoon from 4 to 7 p.m. between June 26 and September 13. Presented by the Chicago Department of Cultural Affairs and Special Events (DCASE), SummerDance brings people of all ages and skill levels together on a 4,900-square-foot, open-air dance floor made of 100% recycled material. The series offers free, introductory one-hour dance lessons by professional instructors followed by music and dancing. The diverse lineup showcases various traditional and modern dance styles from all corners of the globe. SummerDance highlights include legendary radio personality DJ Herb Kent on Saturday, June 27 who will be spinning Chicago Steppin’ sets. On Friday, August 21, the popular Chicago underground art series Salonathon: Smooth Moves with Jyldo leads an interactive dance session featuring smooth moves and soft grooves for all ages, while DJ Danny LeRoy provides a creamy soundtrack of soft rock, smooth jamz, Hip-Hop and R&B classics. On Friday, August 28, the Fabulous Ladies of Fitness host a Retro Cardio Dance Party. Dancers will be led through a comedic cardio dance routine to a blend of ’70s lite rock, ’80s and ’90s R&B/Hip-Hop and hits of the last decade. Additionally, throughout the summer, a DJ series will be presented in conjunction with the Move Your Body: The Evolution of House Music exhibition on view at the Chicago Cultural Center through August 16. Marshall Jefferson will appear at SummerDance on July 19, DJ Pierre and PHUTURE on July 17 and Derrick Carter on August 22. The weekend of September 11-13, Chicago SummerDance kicks-off the World Music Festival Chicago 2015 with a lineup that includes a performance of Bollywood Dhamaka! presented by the Kalapriya Center for Indian Performing Arts. Inspired by the Big Indian Wedding, Komal Shah teaches Bollywood moves to music provided by DJ Sunny Singh. These events will follow the Chicago SummerDance format with dance lessons and music. The World Music Festival runs Friday, September 11 – Sunday, September 22. The complete schedule will be available at a later date at worldmusicfestivalchicago.org. Chicagoans can also enjoy SummerDance in the Parks every Thursday, July 9 – September 3, presented at five different neighborhood parks throughout the city including the Humboldt Park Boathouse and Washington Park Refectory. SummerDance in the Parks is presented as part of an ongoing collaboration between the Department of Cultural Affairs and Special Events and the Chicago Park District. Arts programming in the city’s neighborhoods advances the goals of the Chicago Cultural Plan and the Night Out in the Parks initiative. For more information about these initiatives, visit nightoutintheparks.com and chicagoculturalplan.org. Updates and announcements (including weather-related announcements) will be shared on Facebook and on Twitter @SummerDanceChi. For more information, visit chicagosummerdance.org or call the Department of Cultural Affairs and Special Events at 312.744.3316. Except where noted, Chicago SummerDance takes place each Friday and Saturday evening – dance lessons begin at 6 p.m. with live music and dancing from 7:30 p.m. to 9:30 p.m.; and every Sunday afternoon – dance lessons begin at 4 p.m. with live music from 5 p.m. to 7 p.m. Below is the complete 2015 schedule. *Marshall Jefferson, 6 – 9 p.m.
*DJ Pierre & PHUTURE, 6 – 9 p.m.
*Derrick Carter, 6 – 9 p.m.
Every Thursday, July 9 – September 3, the Chicago Park District hosts free SummerDance in the Parks at five neighborhood parks throughout the city. Dance lessons begin at 6 p.m., with live music and dancing from 7 to 9 p.m. Below is the complete 2015 schedule. Chicago SummerDance is presented by the Chicago Department of Cultural Affairs and Special Events. Additional support provided by the Chicago Park District, Chicago Transit Authority, Chicago Police Department – 1st District, 42nd Ward Aldermanic Office, Ald. Brendan Reilly, Chicago Department of Transportation and the Department of Fleet and Facility Management. The Spirit of Music Garden in Grant Park was developed and landscaped especially for Chicago SummerDance and received a Gold Award from the Illinois Landscape Contractors Association. The Chicago Park District worked with Chicago's Department of Cultural Affairs and Department of General Services and the Mayor's Office of Special Events to create a garden that fulfilled program needs as well as a destination garden. Using a combination of annuals and perennials to create the spectacular splash of color throughout the summer, the garden’s layout incorporates a geometric design that pulls the visitor into the center of the garden. Classic-looking wooden umbrellas, tables, and chairs circle the center of the garden, allowing visitors to sit and enjoy their surroundings. A variety of food and drinks are available for purchase at the SummerDance Grill. Outside alcohol is strictly prohibited at all Summer Dance events. The open-air dance floor for Chicago SummerDance was designed by Chicago artist Dan Peterman out of recycled plastic. Titled Chicago Ground Cover, the floor was first installed in 1997 at the original Chicago SummerDance site in Grant Park along Michigan Avenue at Washington Street (now Millennium Park). Originally 2,500 square feet, it was first expanded to 3,500 square feet in 1999, and was then expanded to 4,600 square feet in 2008. In 2011, it was renovated and further expanded to 4,900 square-feet to accommodate the increasing number of SummerDance visitors. ChicagoSummerDance is presented as part of the Chicago Park District’s Night Out in the Parks series, supported by Mayor Rahm Emanuel. Arts programming in neighborhoods across the city advances the goals of the Chicago Park District and the Chicago Cultural Plan. Now in its third year, the 2015 Night Out in the Parks series will host more than 1,000 events and programs at more than 250 neighborhood parks throughout the city, making community parks safe havens and hubs of activity. Projects will vary from traditional performances and concerts, to movies, peace rallies, community workshops, nature based programs, dance pieces, festivals, and more. The Chicago Park District has partnered with more than 80 arts and community organizations to expand and produce this successful initiative.